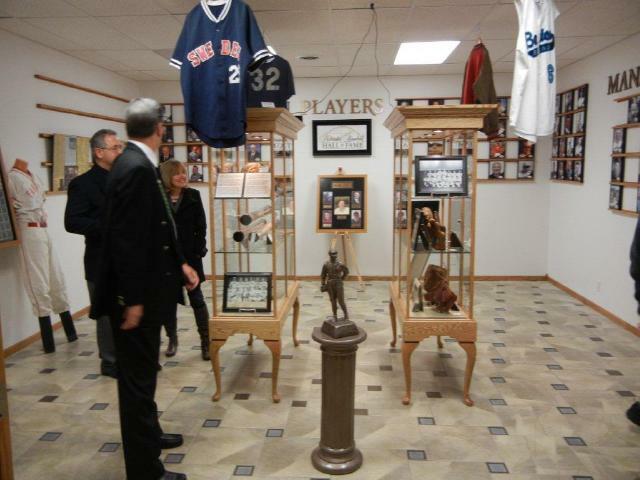 The Nebraska Baseball Hall of Fame created a permanent home for its inductees that was opened in February of 2012. It is currently in Phase II of a three phased construction project. It features players who were outstanding in their semi-professional, town team, and college baseball careers. Several of these players eventually reached the Major Leagues. Pictures of players, umpires, and managers adorn the walls; and the display cases are filled with memorabilia, artifacts, and significant photos and articles dating back as far as 1916. The collection may be viewed by appointment at this time. Please contact Robert Steinkamp, 402-223-3081 for more information.